I wrote this piece for the Dallas Morning News. It was published on Aug. 11, 1994. 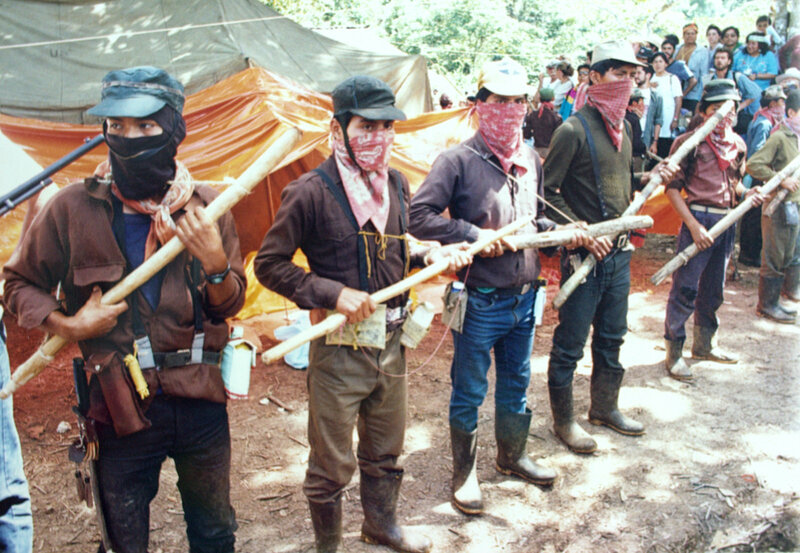 LACANDON JUNGLE, Mexico – Zapatista rebels, rallying supporters at a rain-soaked jungle convention, backed away this week from threats to renew military attacks after the presidential election, calling instead for nationwide nonviolent resistance. “We know that now is not the time. It’s not the time for guns,” declared the rebels’ ski-masked military commander, Subcomandante Marcos. “We’ll wait. We’ll resist. 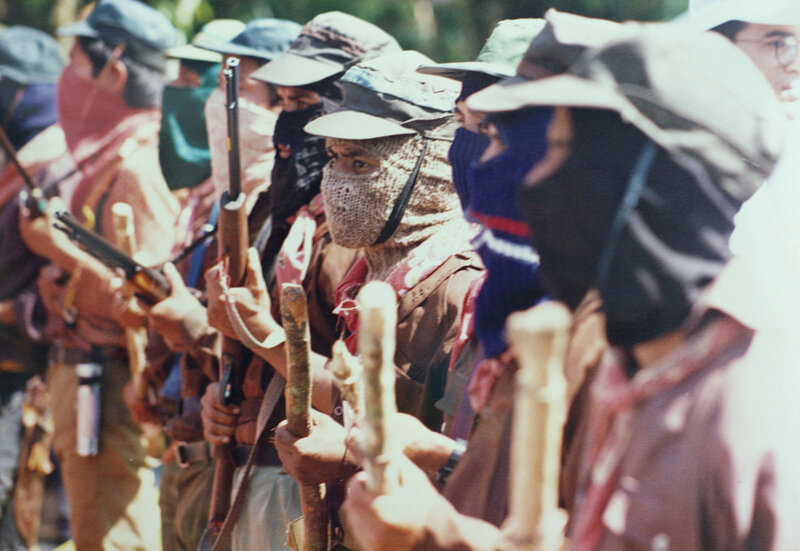 We’re experts at that.” As part of a new, less–violent approach, Marcos also said that the Zapatista National Liberation Army would not fire on government forces without the approval of a newly formed 100-member civilian council. “The Zapatista army alone is no longer in charge,” Marcos said Tuesday, concluding a chaotic political convention held at a remote site in rebel territory in southeastern Mexico. Revolutionary Party, or PRI, which has been in power for 65 years. One of the main sticking points of the convention was whether the delegates should come out in favor of any of the nine presidential candidates, particularly leftist Cuauhtemoc Cardenas of the Democratic Revolutionary Party, or PRD. It was clear that some of the delegates were PRD supporters. Indeed, some of the members of the civilian council have ties to the PRD. But neither the council nor the delegates endorsed any of the candidates. “Unity! Unity! Unity!” they shouted. 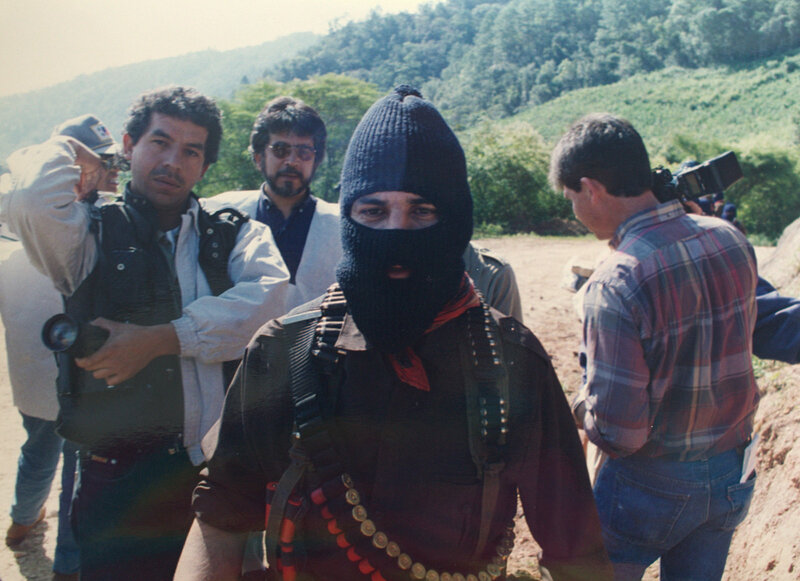 Many of Mexico’s moderate leftist leaders have been reluctant to back the Zapatistas because they believe that democratic change should come through clean elections, not violence. Marcos is trying to win those leaders over. He said his hope is to turn a small, peasant rebellion into a national movement with broad political support in the cities and the countryside. The civilian council, apparently appointed by a selection committee named by rebel leaders, includes a cross section of Mexico’s leftist establishment. Most analysts agree that it’s too early to say whether Marcos will be successful. But few dispute that he and his poorly equipped army of peasants are staying a step ahead of Mexico’s rapidly changing political landscape, virtually guaranteeing that the rebels will remain a strong political force beyond the Aug. 21 presidential election. 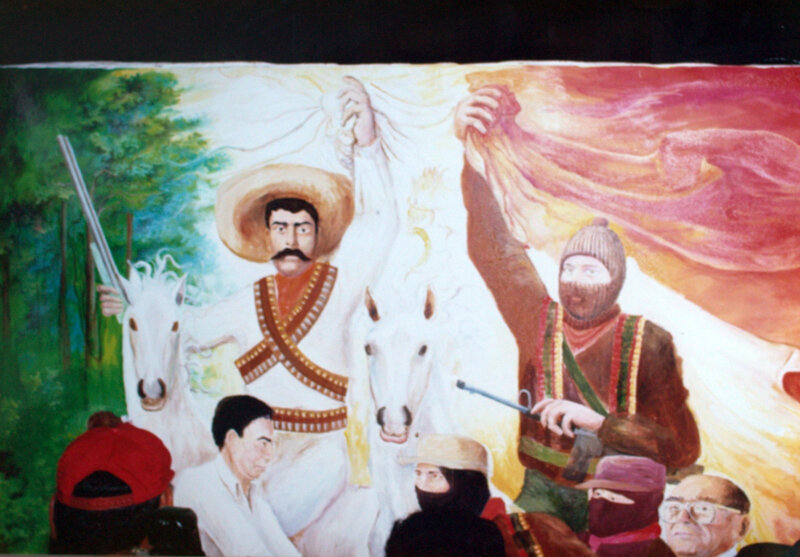 The Zapatistas, with an estimated 1,800 soldiers, overran several towns in Chiapas state on New Year’s Day and declared war on the government. But with Marcos’ sharp wit and passionate demands for justice, he managed to turn the revolt into a cause celebre for millions of Mexicans. And while Marcos T-shirts, bumper stickers and other memorabilia turned into a cottage industry in Chiapas, the uprising didn’t spread as rebels had hoped. Holding a convention in the middle of the jungle in rebel territory turned out to be a logistical nightmare. And the gathering was plagued by bad luck. A fierce rainstorm on Monday blew down a giant plastic tarp that hung over the outdoor amphitheater, sending thousands of delegates running in panic. 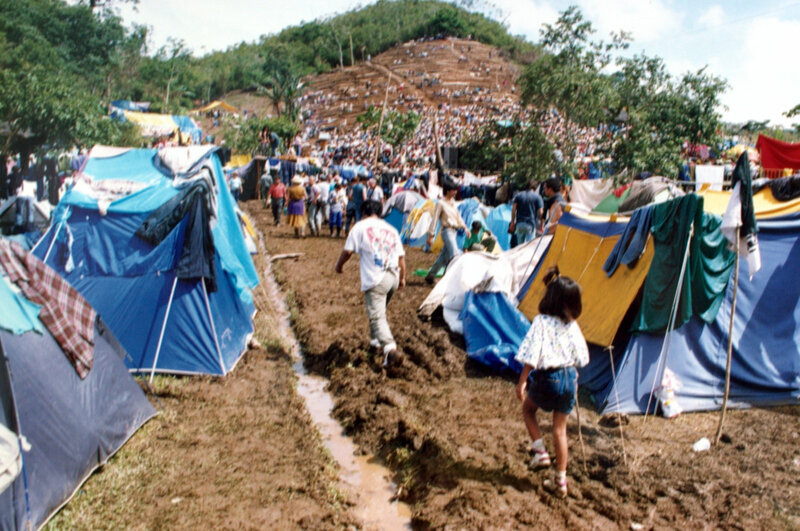 The convention site quickly became a vast stretch of mud and standing water. Hundreds of delegates spent one night huddling under sheets of plastic, dripping and shivering. And as dark clouds loomed over the convention site Tuesday, organizers decided to end the event a day early. Still, few of the delegates left disappointed. Delegates and others attending the convention gathered in San Cristobal de las Casas on Saturday, planning to travel into the jungle by bus as part of a 200-vehicle caravan. Confusion and disorganization prevailed. The first buses left at 9 a.m. Sunday, four hours behind schedule. For some, the 120-mile trip took 30 hours. 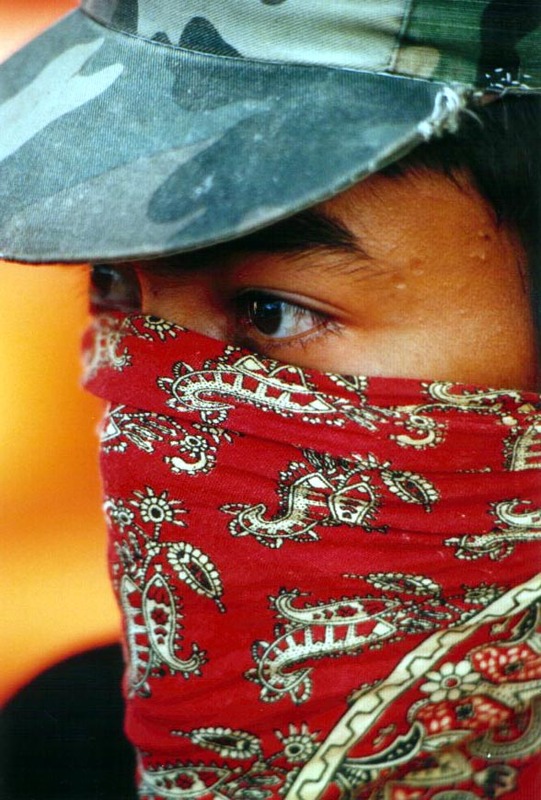 Once in Zapatista territory, the visitors hiked to the convention site – named Aguascalientes – and stood in the sun for hours while waiting to be searched by rebels. At 6 p.m. Monday, the convention began, hours behind schedule. About 5,000 delegates, 500 journalists and almost 200 observers from Mexico, the United States, Asia and Europe sat on log benches erected on a hillside. 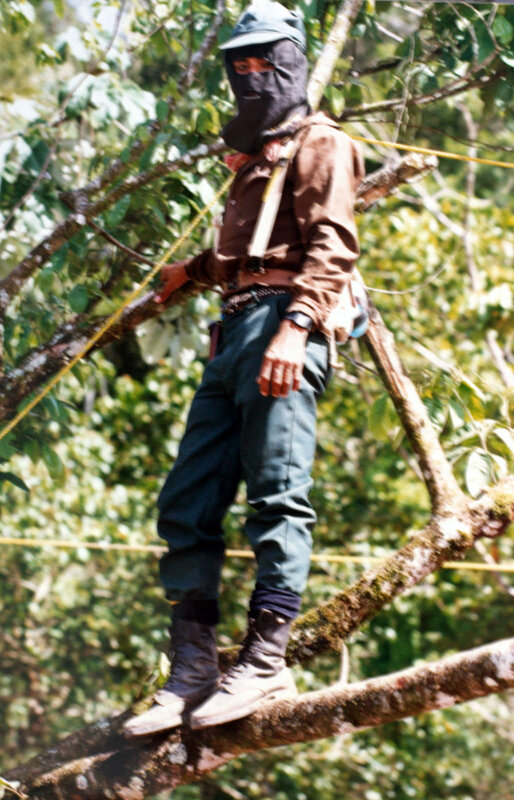 Delegates clapped for Subcomandante Marcos as if they were waiting for a rock star. Marcos strolled onto stage, surrounded by rebel soldiers and personal guards. He told the delegates that they would have to work together to defeat the ruling party. “Don’t betray your ideals, your principles, your history. Join forces to say, `Enough already,’ ” he said. The delegates also called for forcing President Carlos Salinas de Gortari and other government officials to stand before a people’s court for alleged abuses against the populace. They spoke out against the North American Free Trade Agreement. And they demanded that the Zapatista army be recognized as a belligerent force. Marcos issued fewer threats of violence, but he said the rebels had no intention of giving up their weapons anytime soon. And in a show of rebel force, more than 450 armed Zapatistas and hundreds of civilian supporters marched under the stage in front of him. Two towering Mexican flags hung behind Marcos as he spoke. He pointed toward the outdoor theater, calling it “Noah’s Ark.” Not long after that, the rain started to fall and the plastic tarp collapsed. “Stay calm! Stay calm!” a man yelled over a loudspeaker. Rosy Cobarubias, a Mexico City radio reporter, hung on to a log bench as the tarp whipped in the wind, rising more than 100 feet in the air, then crashing down. But the rebels and their supporters said they weren’t deterred. “What we wanted to achieve, we achieved,” said Jose Alvarez, one of three vice presidents on the citizens’ council.